8/01/2013�� Make your own "Fake" sensory snow The kids had a blast and there is so much more you can do with this fun "fake" snow. I even had fun playing in it with them, it is so soft. To make the snow you need baking soda and hair conditioner. I got both of them from Dollar Tree. 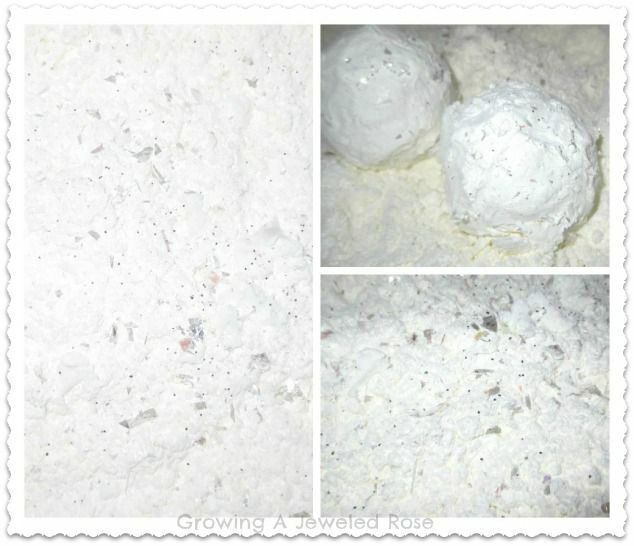 How to make "Fake snow": Mix 3 cups of baking soda to 1/2 cup hair conditioner I tried 2 different hair conditioners and... The first type of fake snow is made up of recycled plastic bags. Obviously, that doesn�t get wet when it is on the floor. This type of snow is used in stage productions consistently as it looks very real when falling. It does, however, make a mess on the floor. It has to be swept up. It can get slightly slippery on the floor, much like confetti might, if allowed to build up much. It was fun to make, super messy, fun to mold, fun to squish, fun to play with, One blog post I read said that they used this "fluffy stuff" to have a summer snow ball fight. We didn't do that this time but I may take a doubled batch of it this summer to a park to get messy and have fun before hosing off! I spent less that $4 on this activity. The cornstarch was on sale for $0.88 each box... The first type of fake snow is made up of recycled plastic bags. Obviously, that doesn�t get wet when it is on the floor. This type of snow is used in stage productions consistently as it looks very real when falling. It does, however, make a mess on the floor. It has to be swept up. It can get slightly slippery on the floor, much like confetti might, if allowed to build up much.